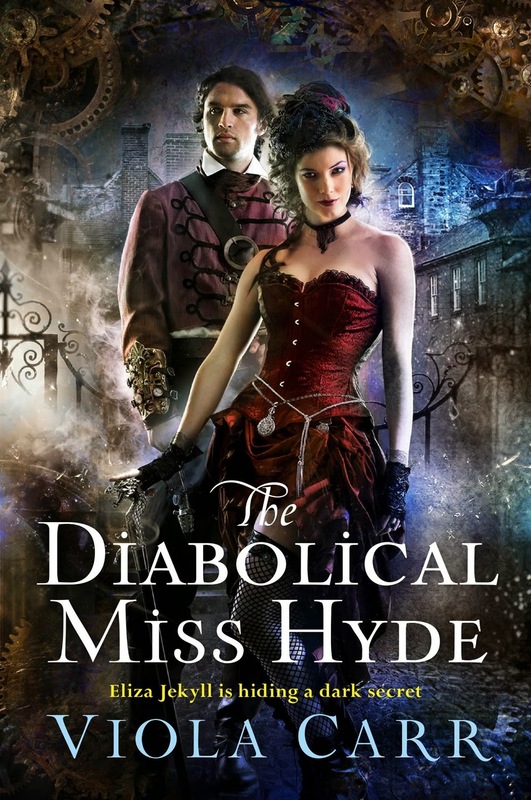 The Diabolical Miss Hyde, as one might expect from the title, plays off the story of Dr. Jekyll and Mr. Hyde. Dr. Eliza Jekyll, Henry Jekyll’s daughter, works as a consulting detective for London’s Metropolitan Police. Or, to be more accurate, for the one policeman not too proud to ask for help from a woman. Carr builds a rich and interesting world in Victorian London. In this society, science rules. Anything smacking of the paranormal or of magic is ruthlessly suppressed. To go against scientific orthodoxy is to invite a death sentence, and this British government doesn’t mess around. Condemned prisoners are burned at the stake in front of St. Paul’s Cathedral. Like her father, Eliza has an alter ego, Lizzie Hyde. Eliza takes an alchemical serum to control her headaches and, sometimes, to trigger Lizzie’s appearance as the dominant personality. She also occasionally uses it while investigating cases. Alchemy is a capital crime, so Eliza is always at risk. Orthodoxy is enforced by officers of the Royal Society. When one of them, Captain Lafayette, takes an interest in Eliza’s cases, she is sure the Society is onto her and merely seeking proof before ordering her execution. To her aggravation, attraction sparks between her and the captain, and she gradually realizes he is not what he seems. Eliza is assisting with the pursuit of a man known as the Chopper because he maims and murders women in the back alleys of London. As the case develops, she needs Lizzie’s help because her other self is at home in the slums and back alleys as Eliza never can be. Every time she lets Lizzie out, though, the risk of discovery increases. This is not the first mass murderer Eliza has helped pursue. The last one now resides in Bethlem Hospital for the Criminally Insane, better known as Bedlam, and he is strongly attracted to Eliza, who works as a consulting physician there. The murder case progresses with interesting twists and turns, and the mystery deepens as Eliza makes her rounds at Bedlam. Everything comes together in a twist that owes something to Victorian literature, but saying how it does would spoil the surprise. The satisfying conclusion is tense, dangerous, and action-packed. The one thing about this book some readers may find off-putting is the duality of the Eliza/Lizzie point of view. When Eliza is dominant, the scenes are written in third person. Lizzie, on the other hand, speaks in a rough first person narrative. The shift felt jarring at first but became less noticeable as the story progressed. This is steampunk science fiction, not romance, though there are romantic bits laced through the story. The characters are sympathetic, and the story is well constructed without being predictable. I've still not tried this genre - maybe some day! I've only read one, catslady. I think I may give this one a try though. How awesome! I love Steam Punk and I haven't tried Viola Carr yet so this sounds like it's right up my ally!